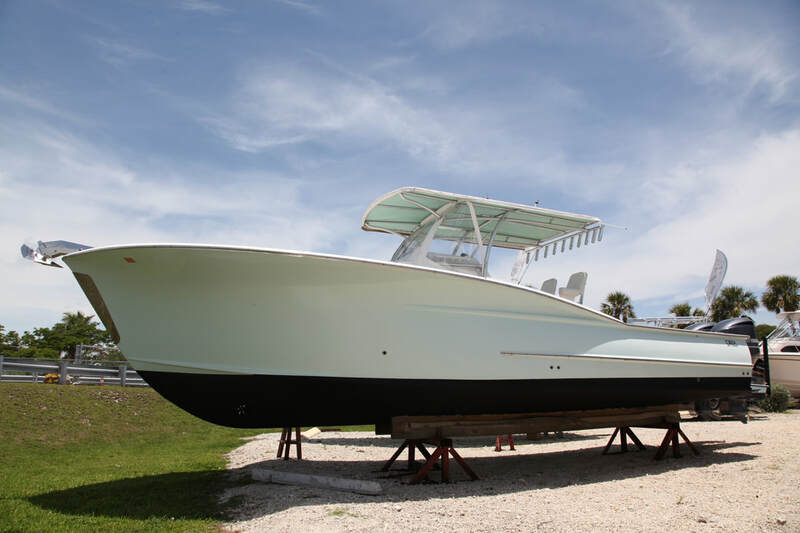 LIMITED PRODUCTION OF THE CLASSIC "CAROLINA FLARE"
THIS SEMI-CUSTOM 36' CC USES MODERN MARTERIALS AND TECHOLOGY TO PRODUCE A GREAT RIDE WITH CUSTOM QUALITY..
ONE OWNER, LOW HOURS AND MANY OPTIONS. 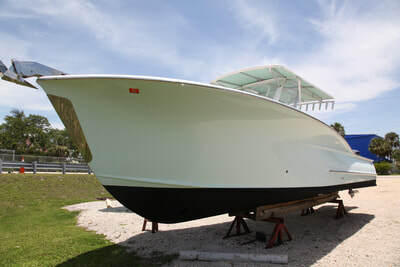 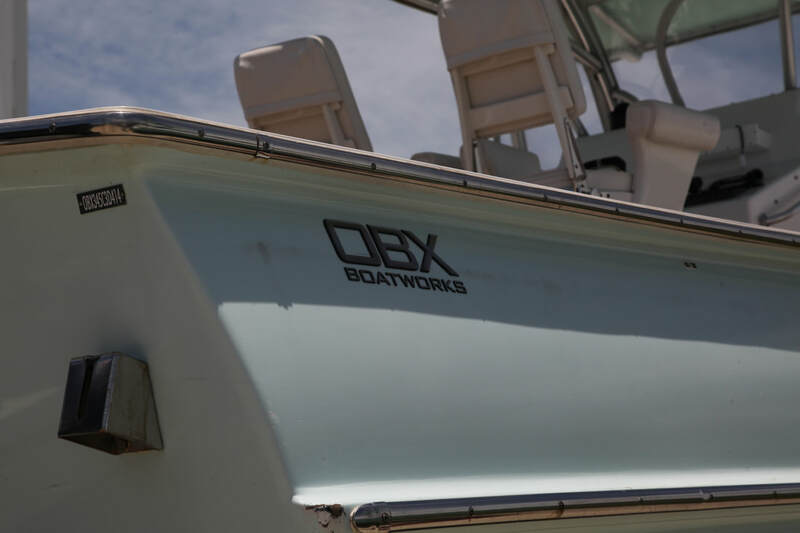 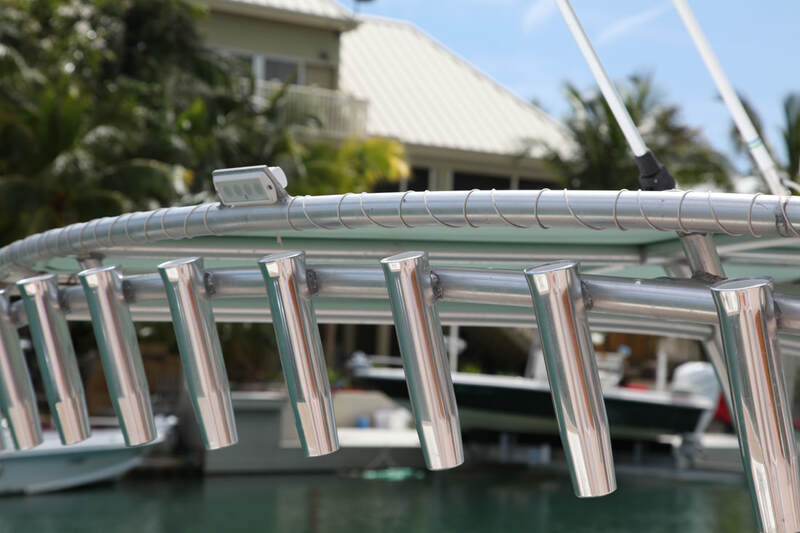 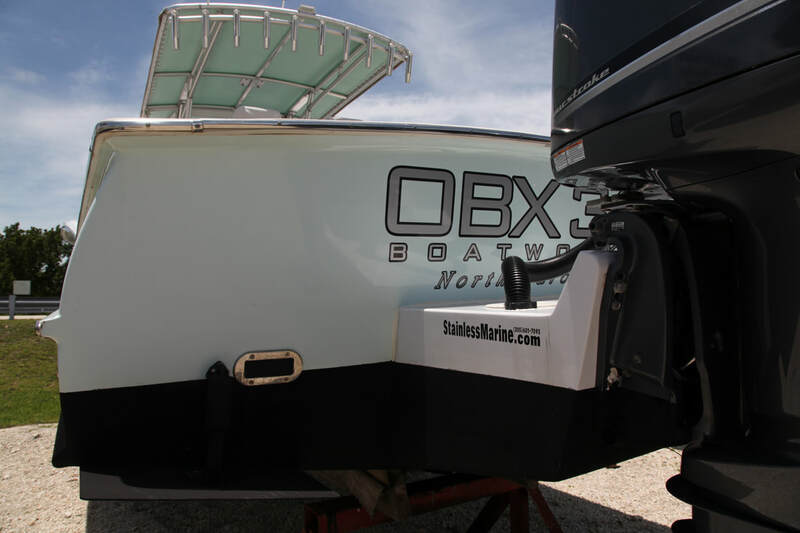 OBX Boatworks starts with a proven hull design, the Carolina Flare. 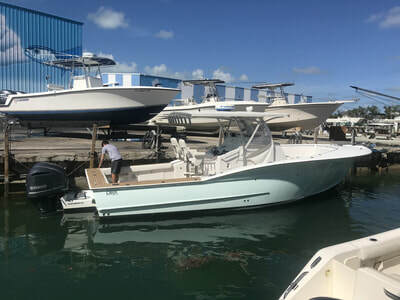 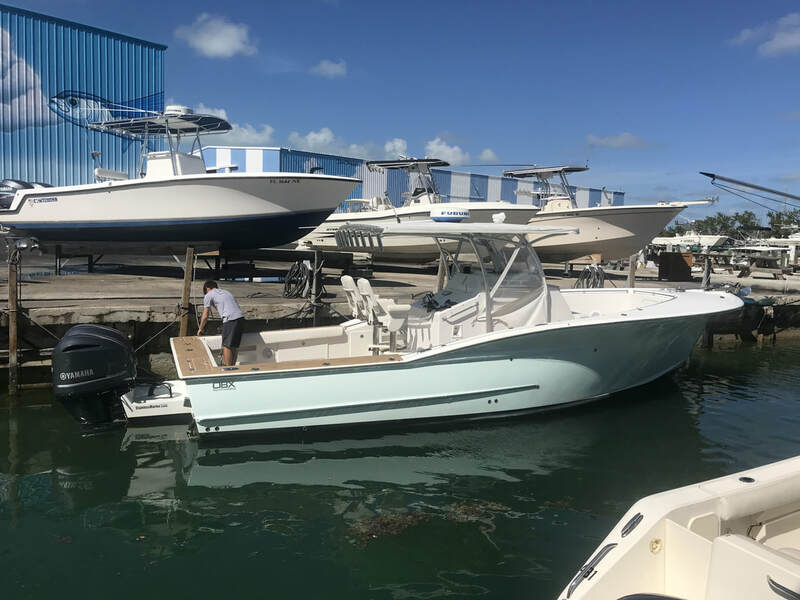 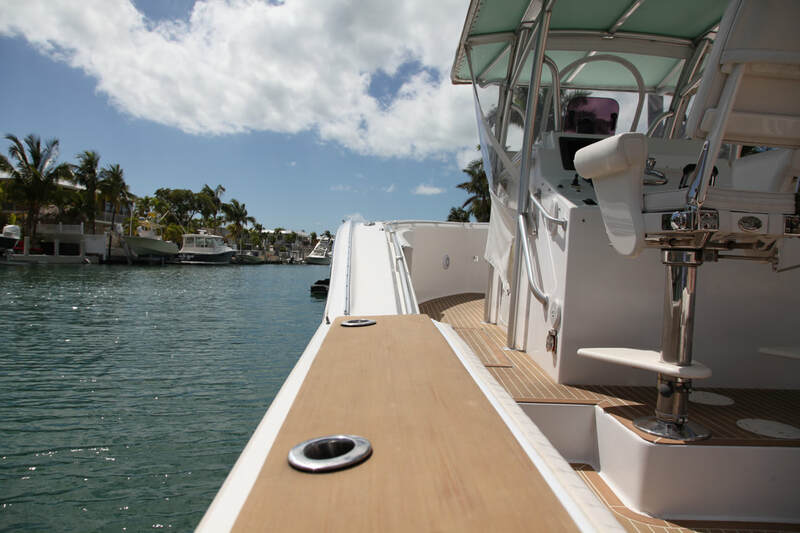 They futher enhance the 36' by utilizing the owner's Naval Architect expertise to customize it to the owners demands and needs. 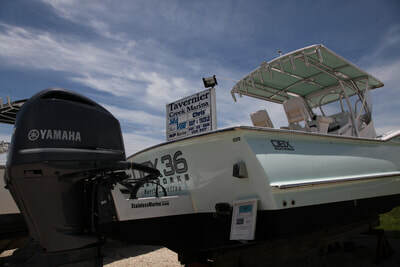 Many of the construction and finishing staff are former Hatteras and local furniture craftsmen from the Highpoint North Carolina area. Construction is fully fiberglass manufactured with resin infusion technology. 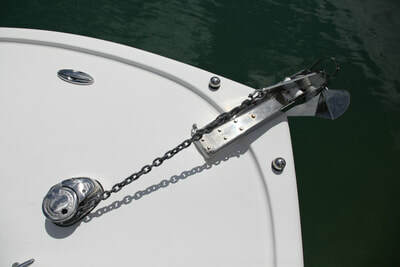 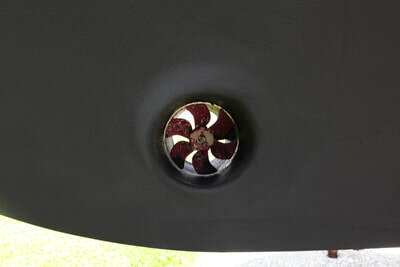 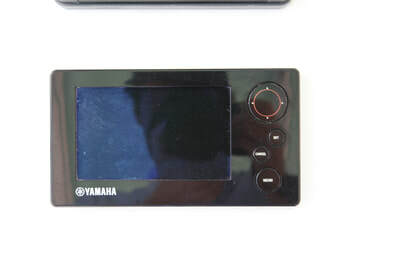 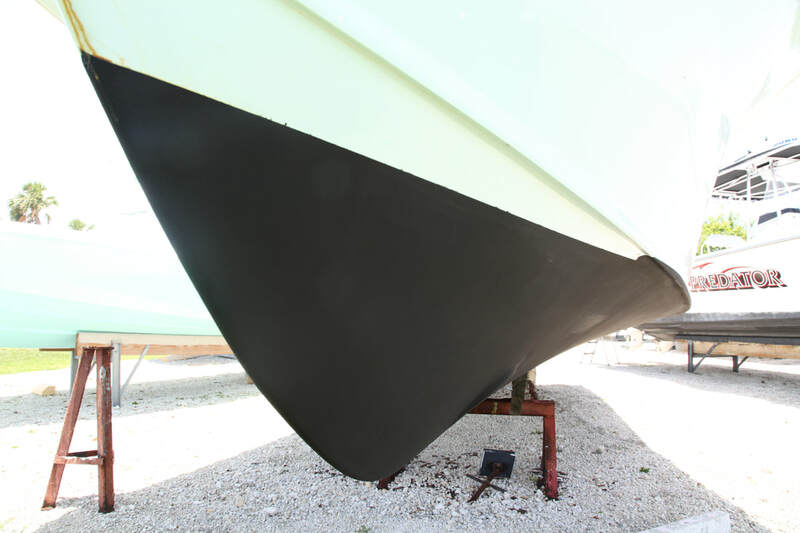 Hulls have solid bottoms, Carbon Fiber Kevlar reininforcements, and manufactured with all USA made materials. 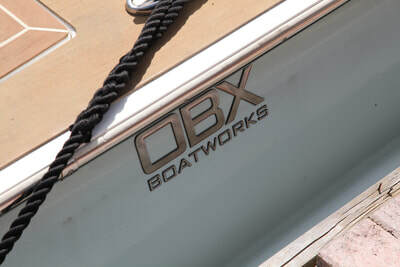 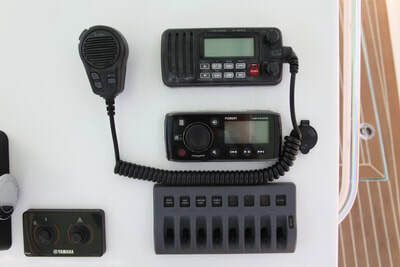 Any core material used on the OBX is Airex. 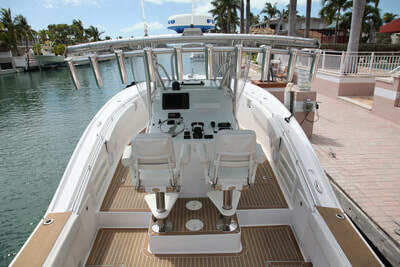 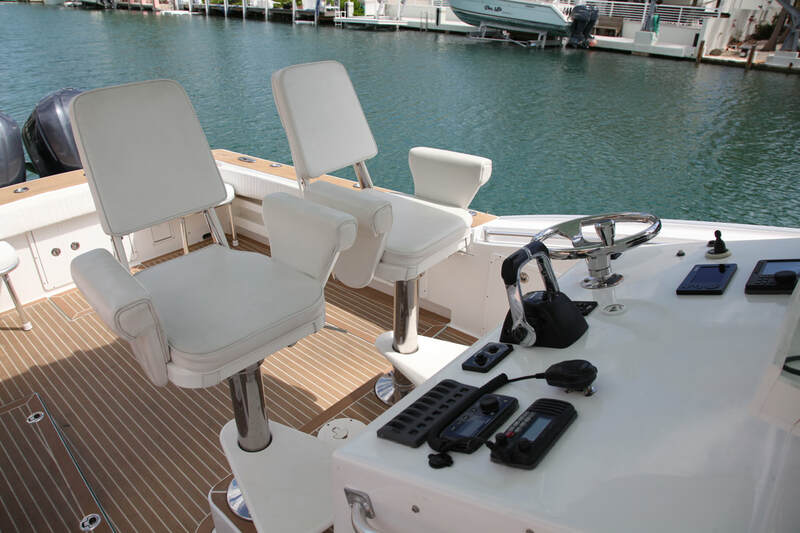 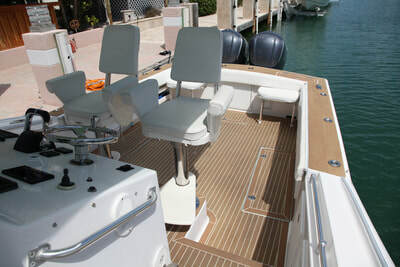 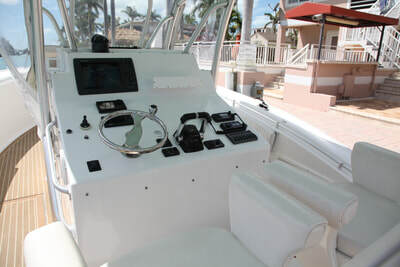 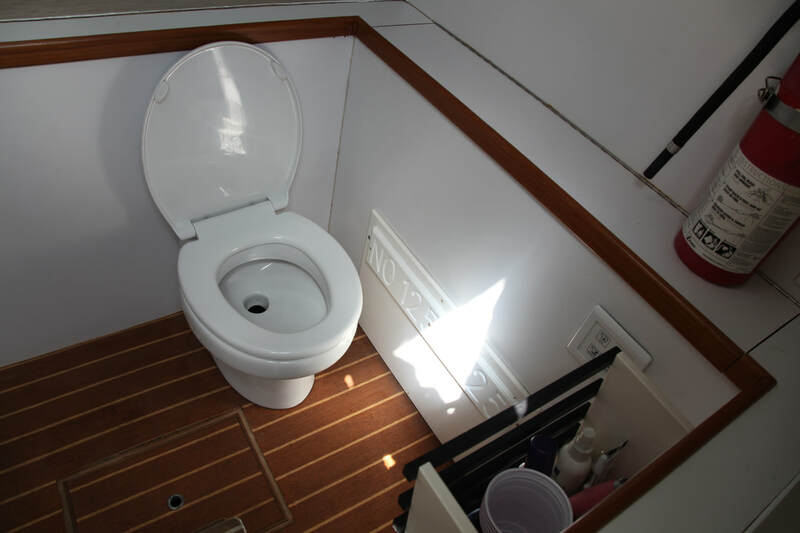 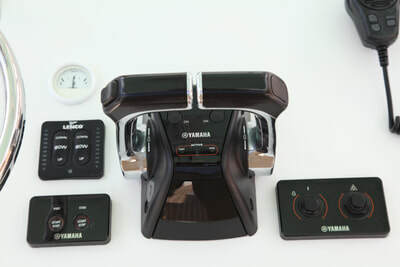 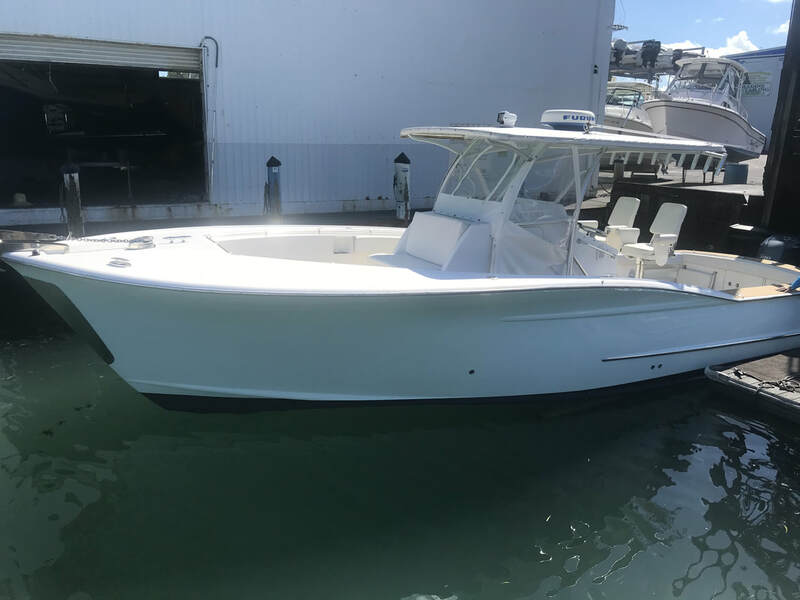 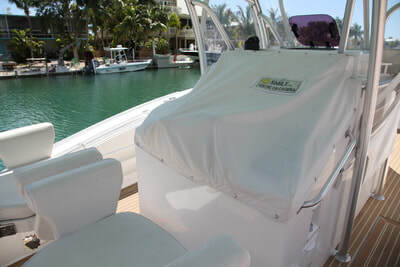 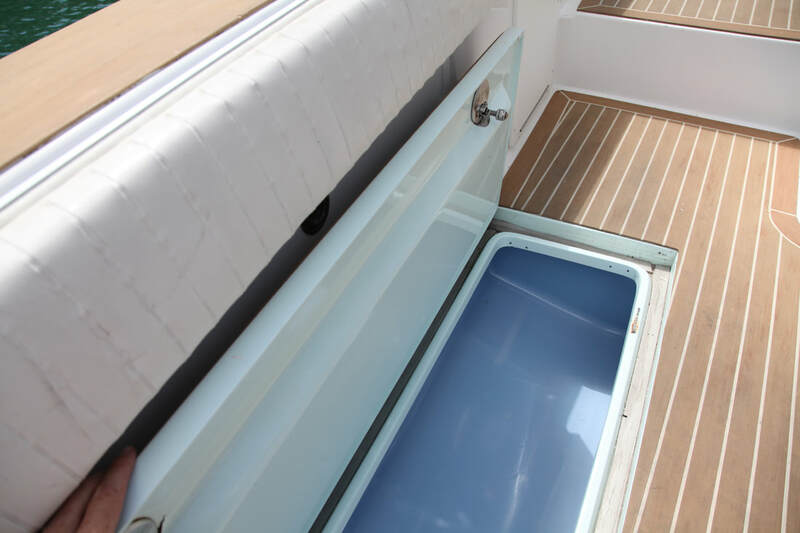 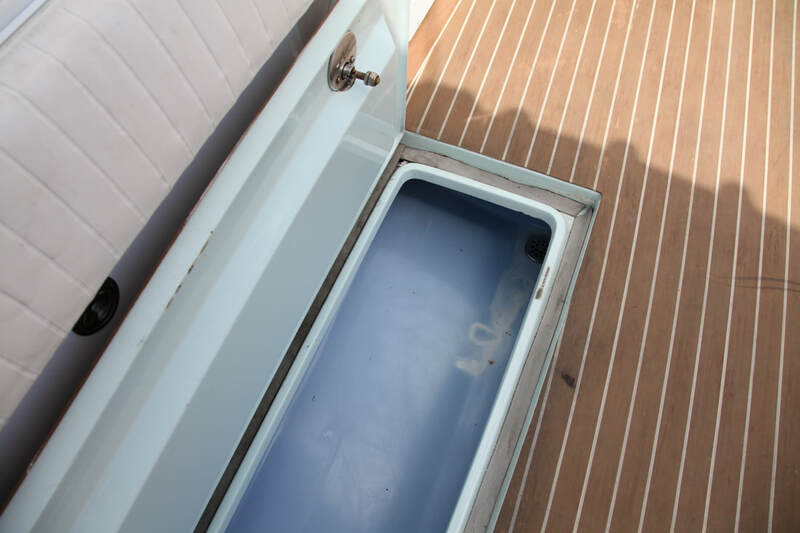 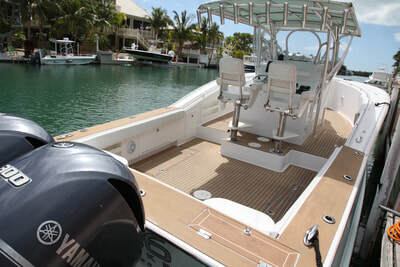 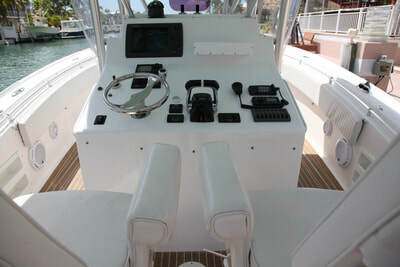 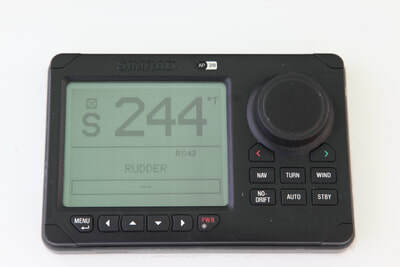 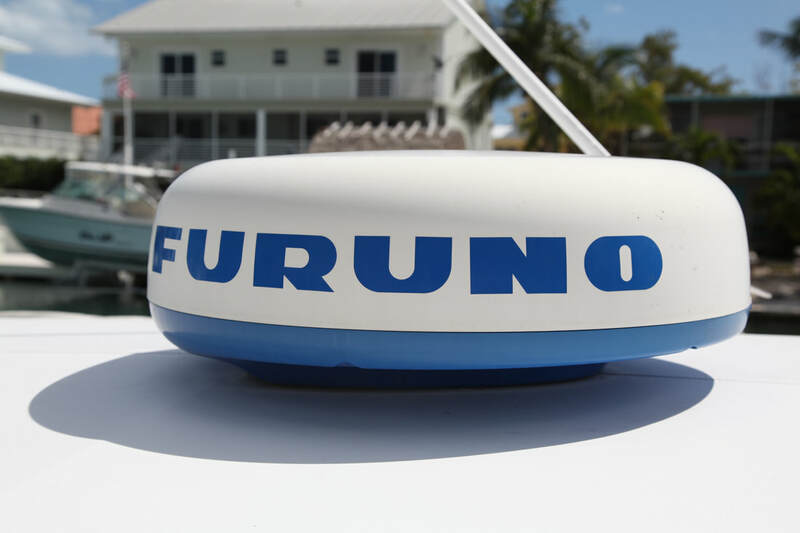 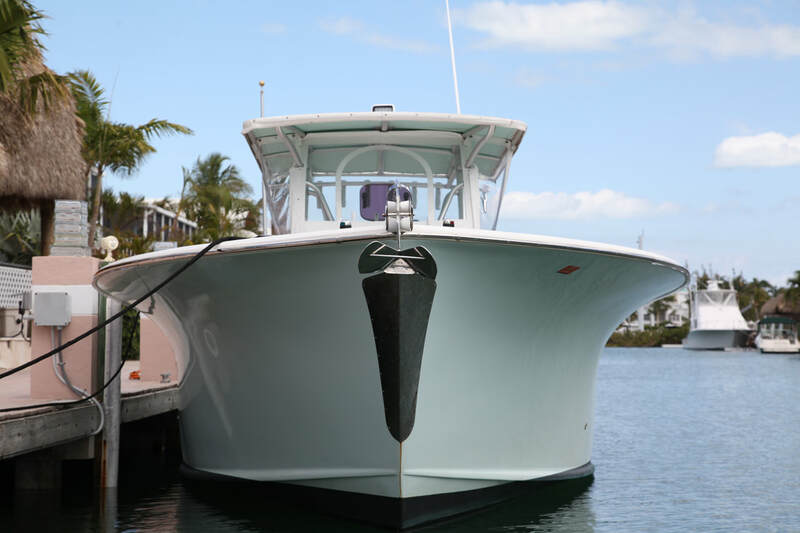 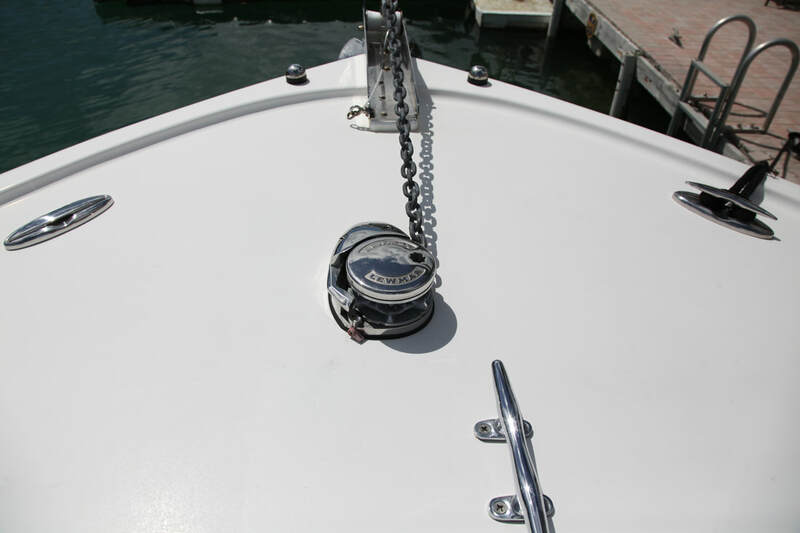 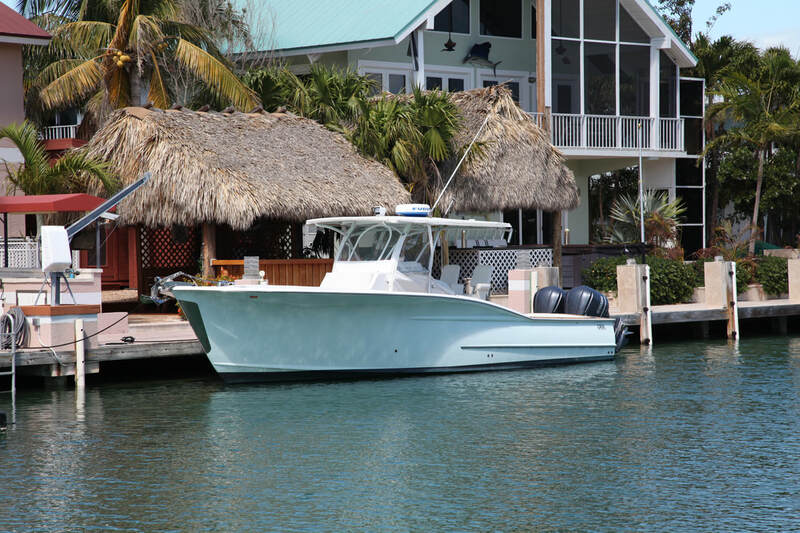 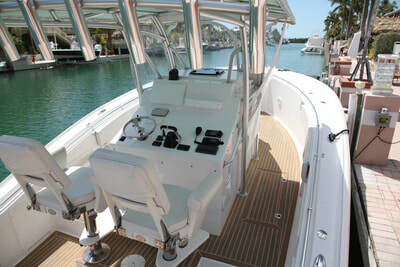 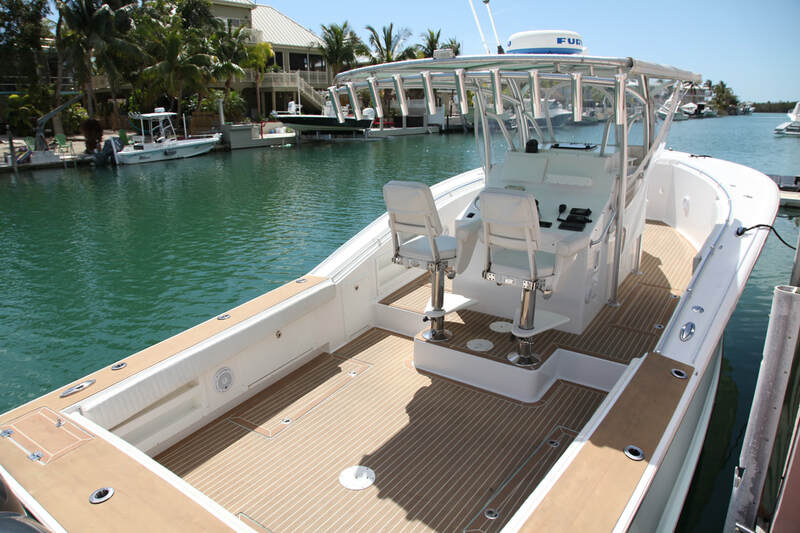 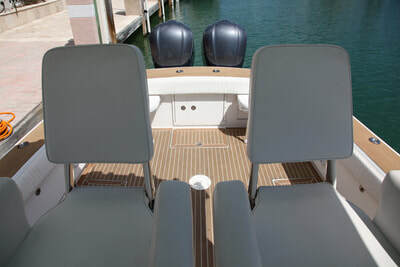 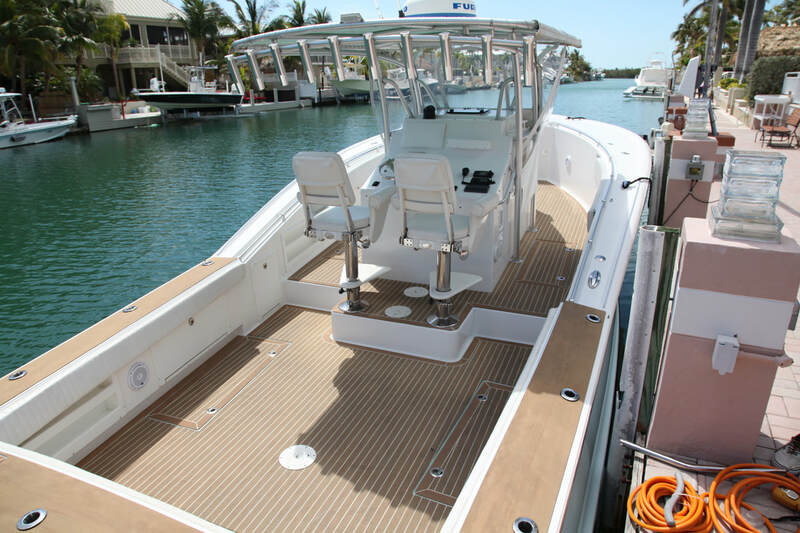 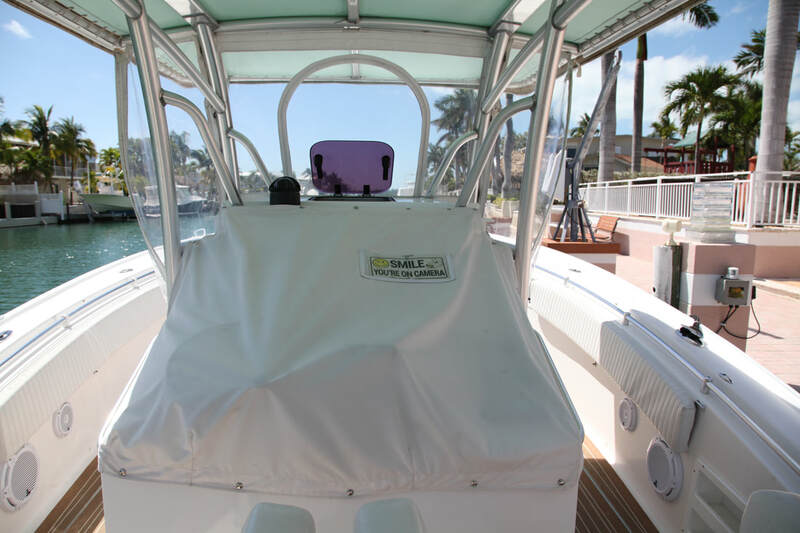 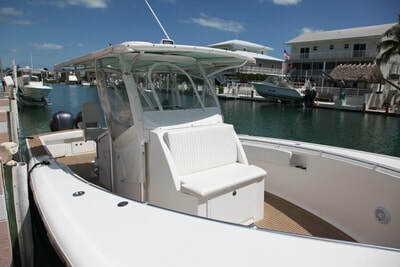 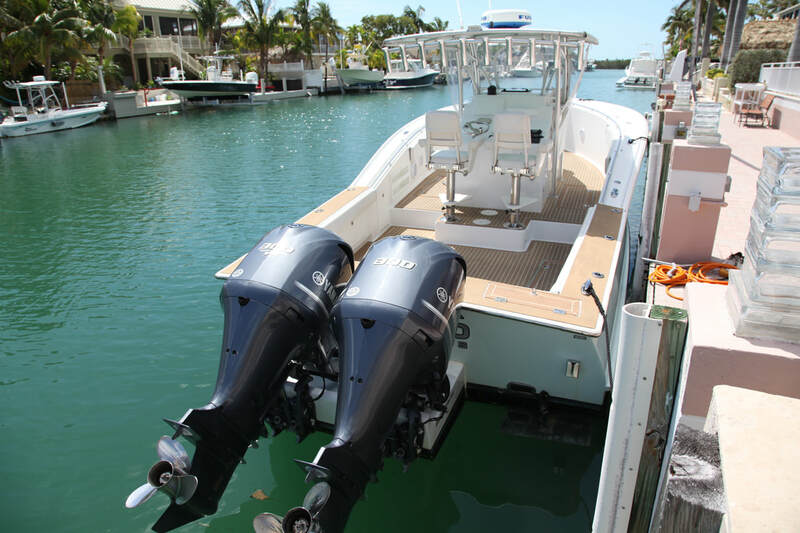 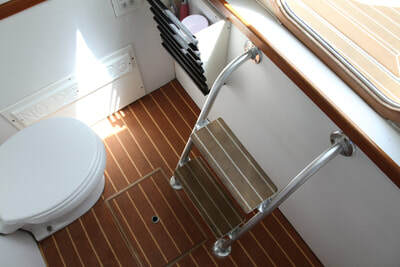 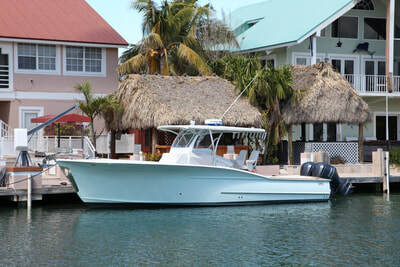 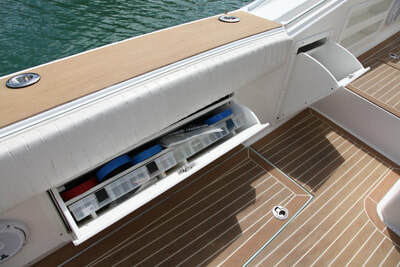 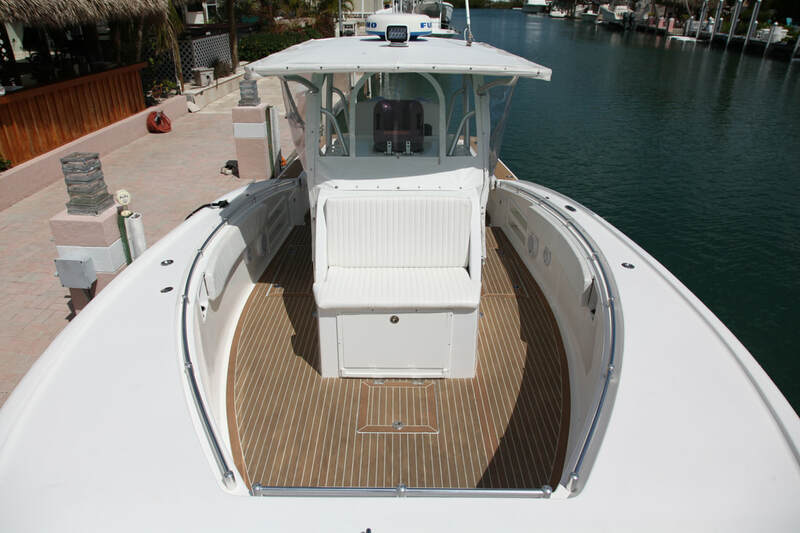 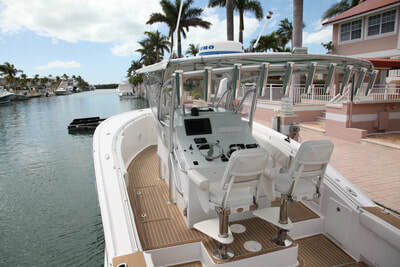 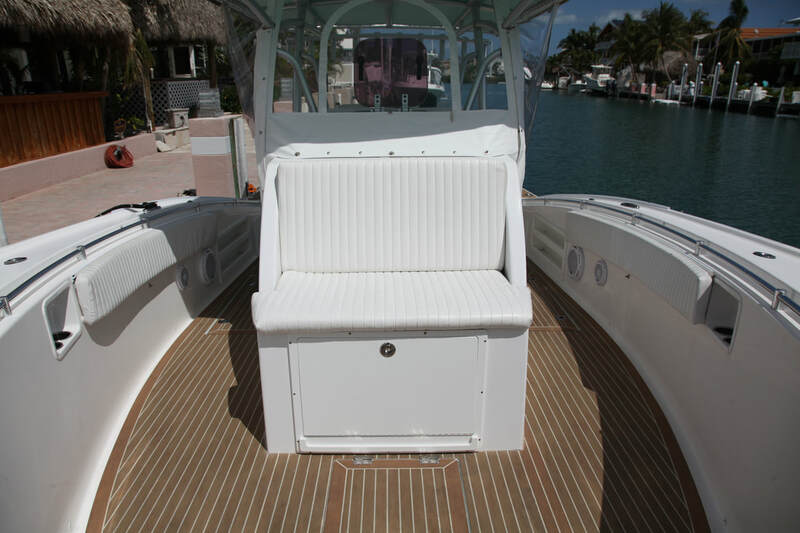 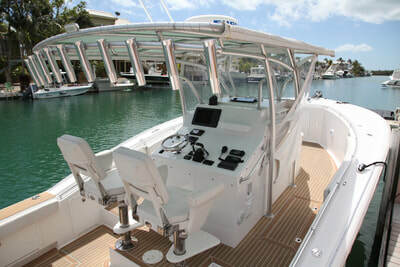 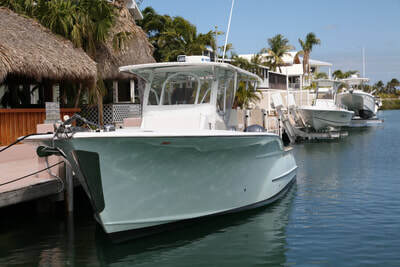 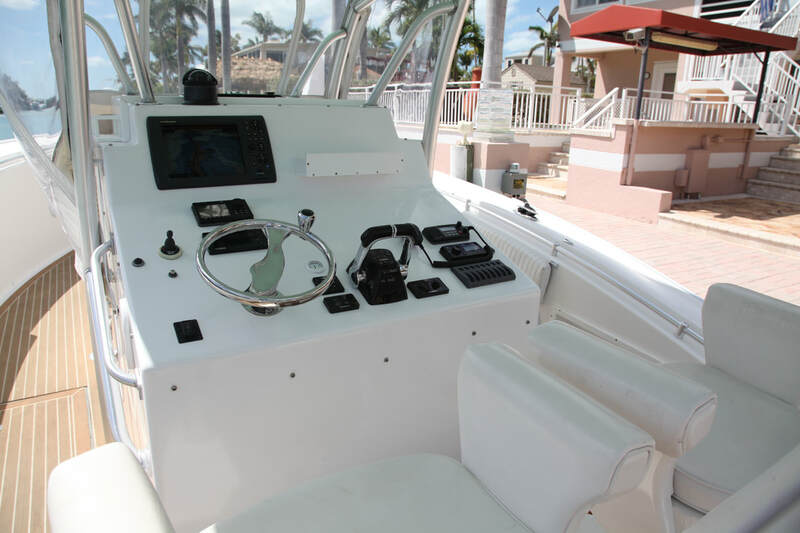 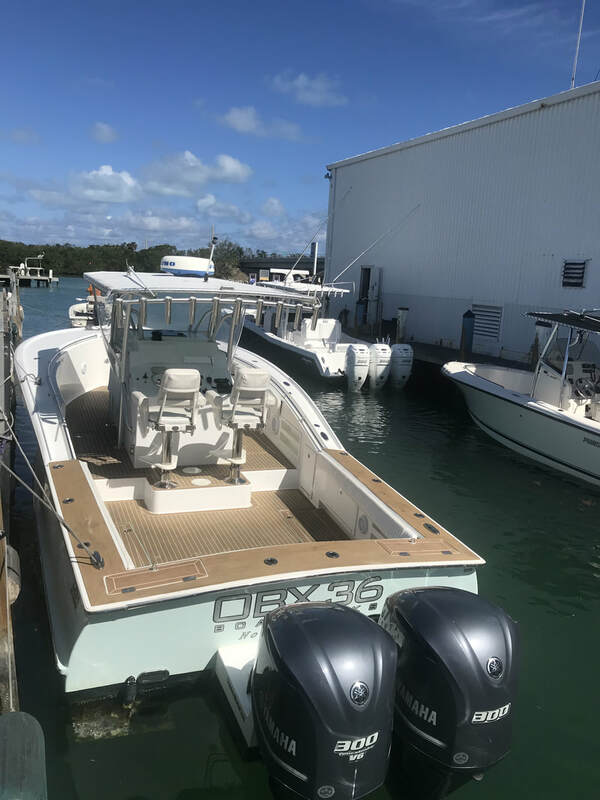 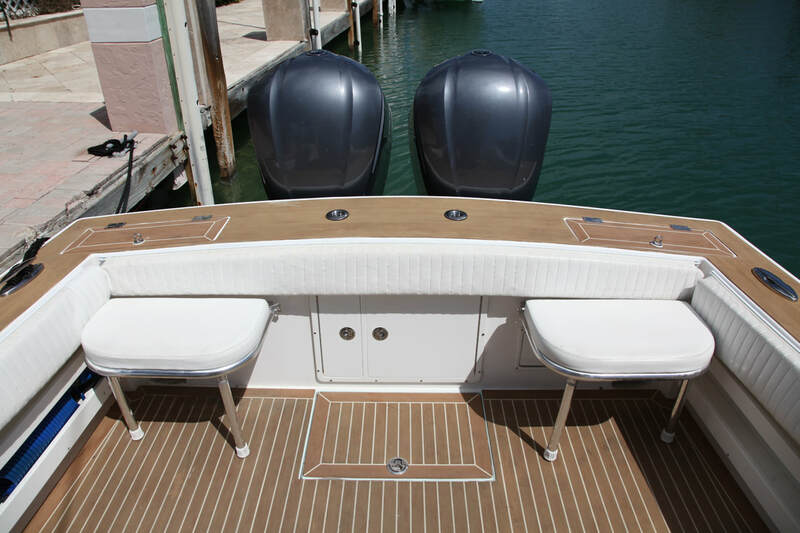 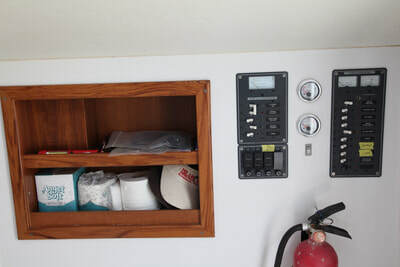 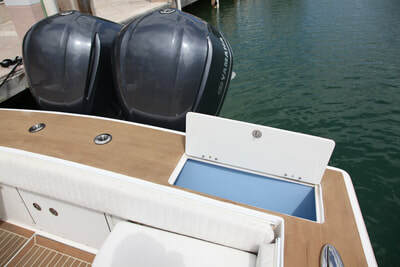 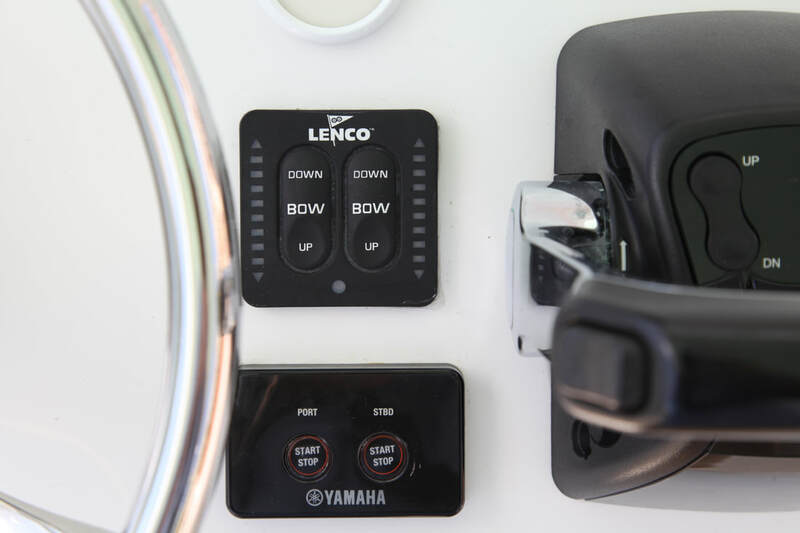 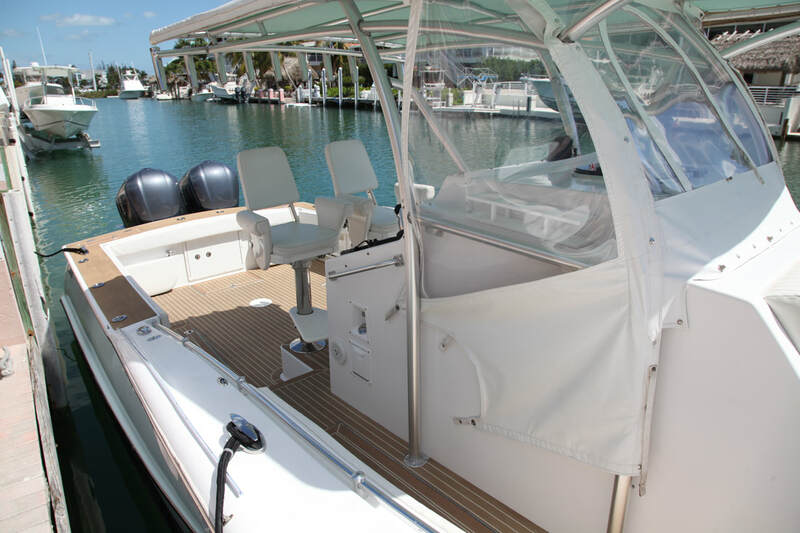 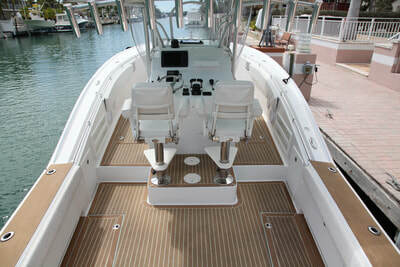 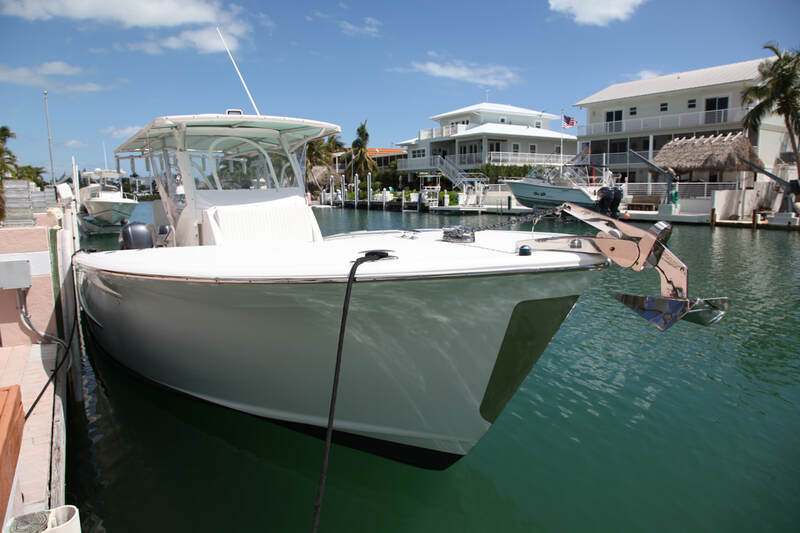 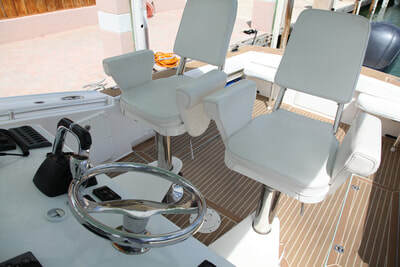 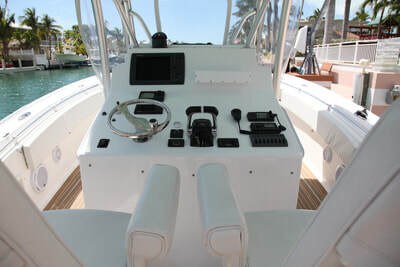 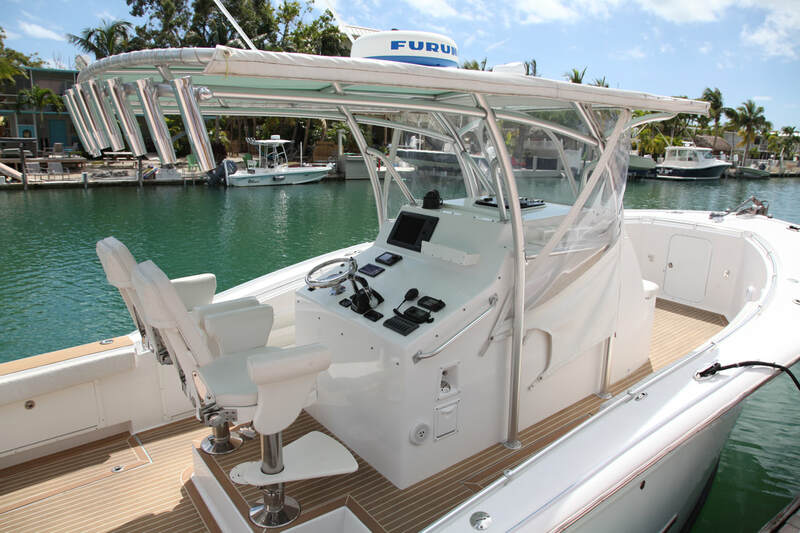 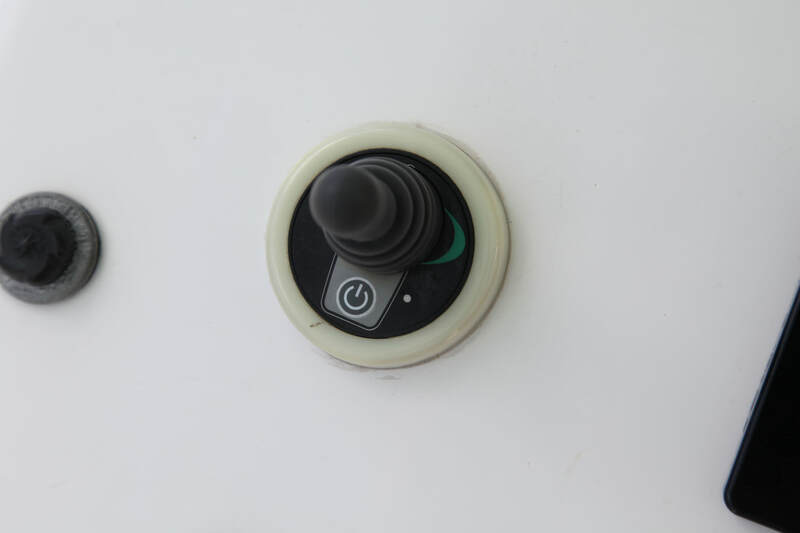 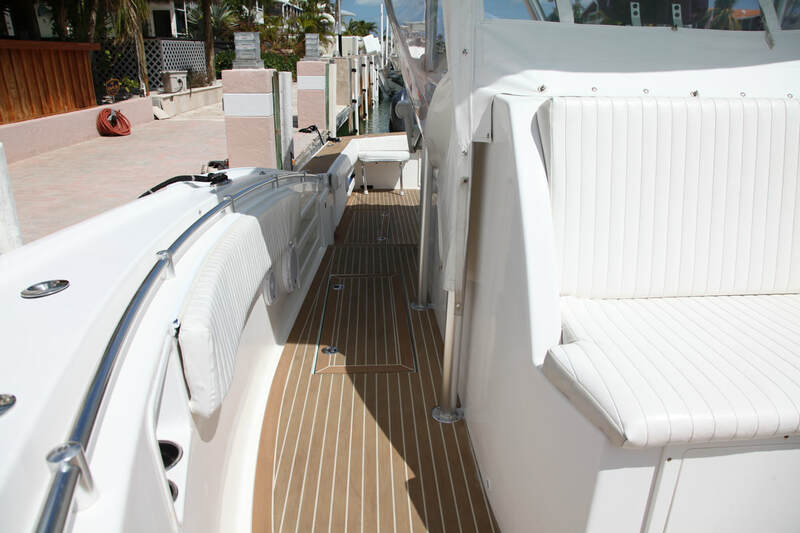 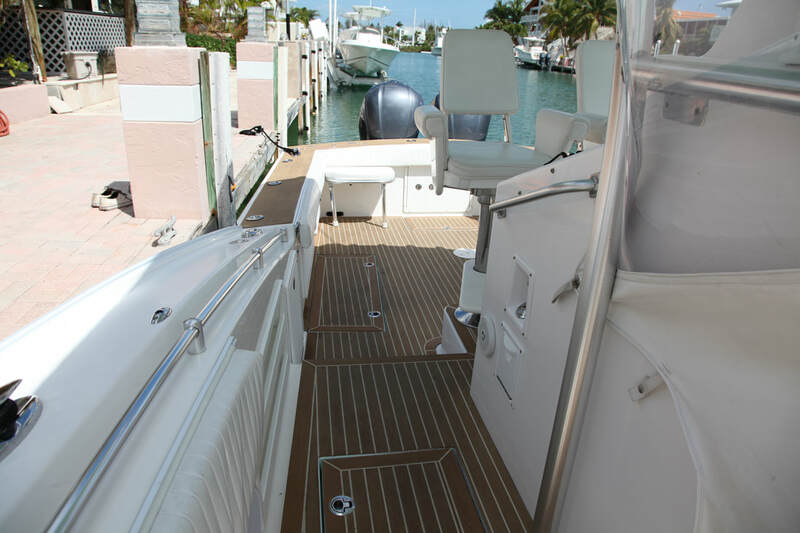 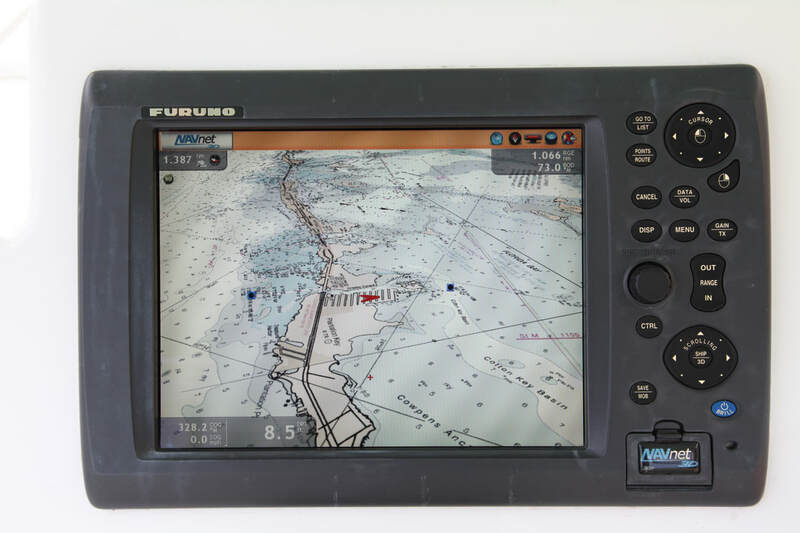 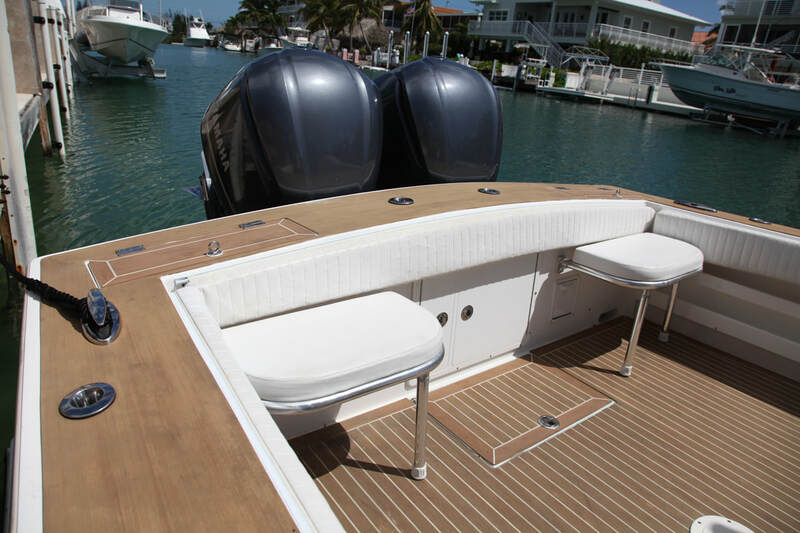 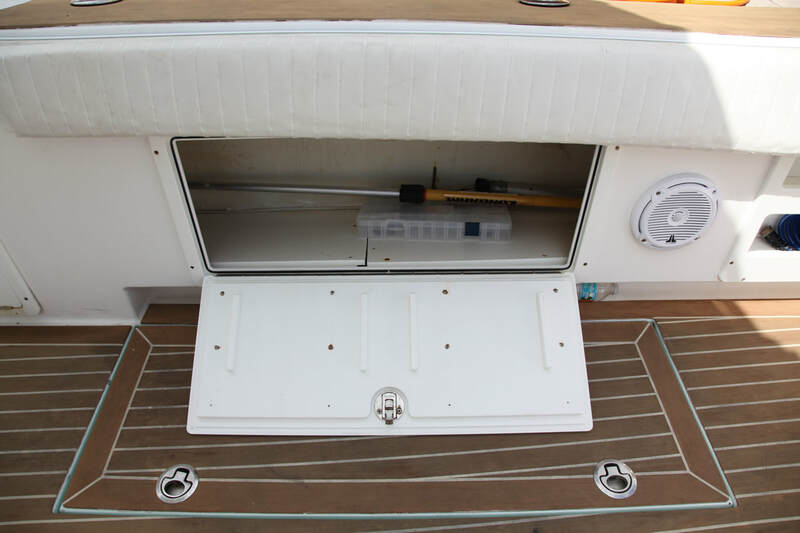 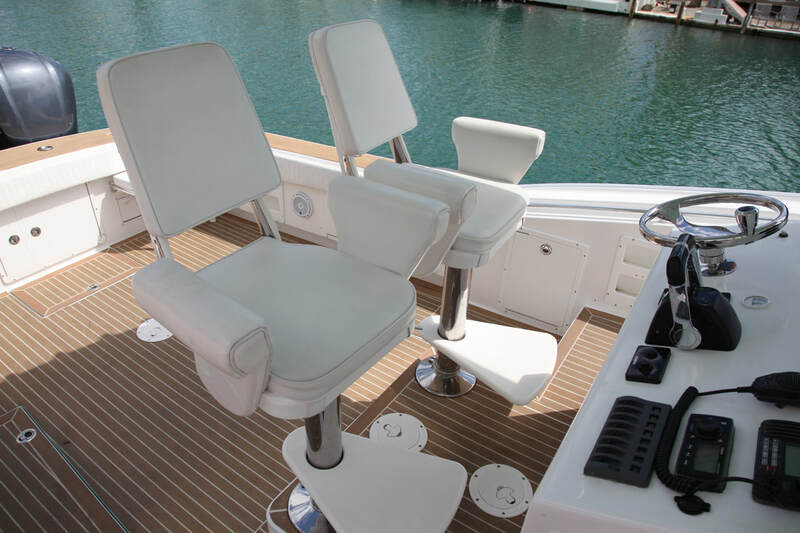 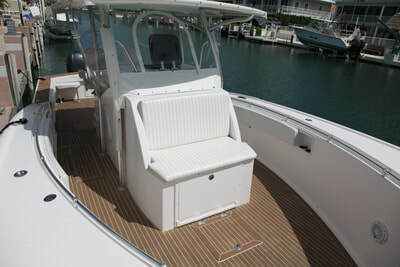 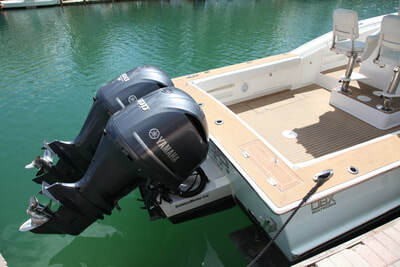 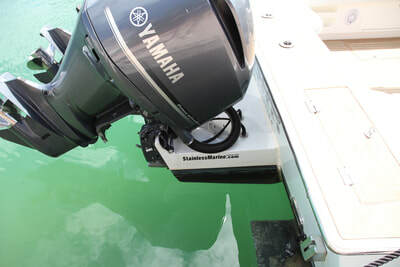 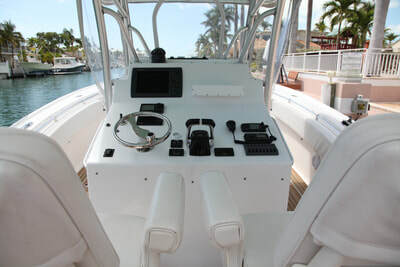 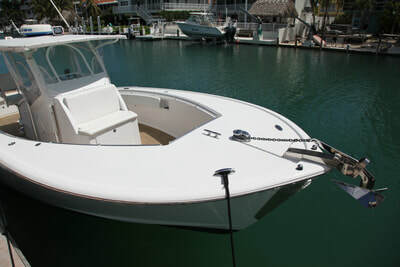 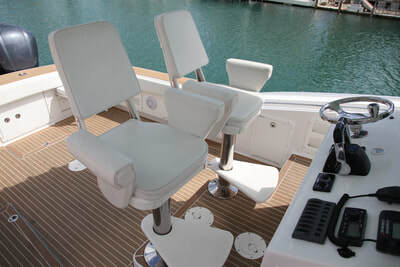 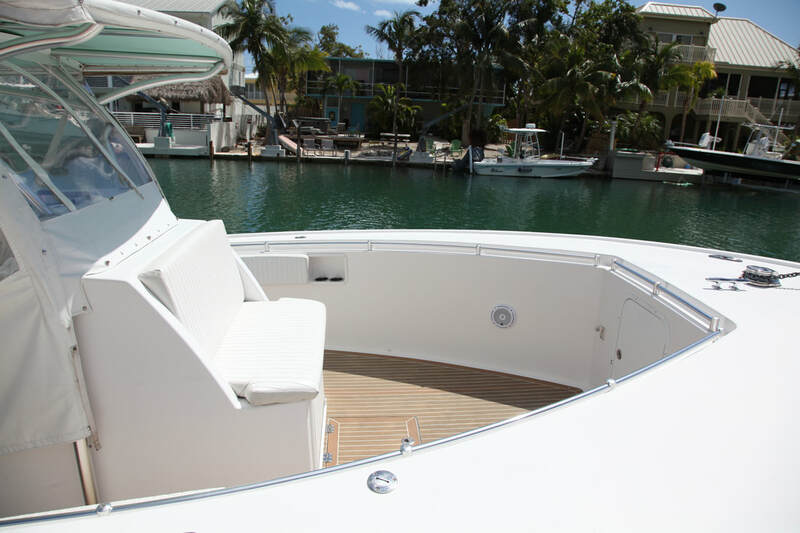 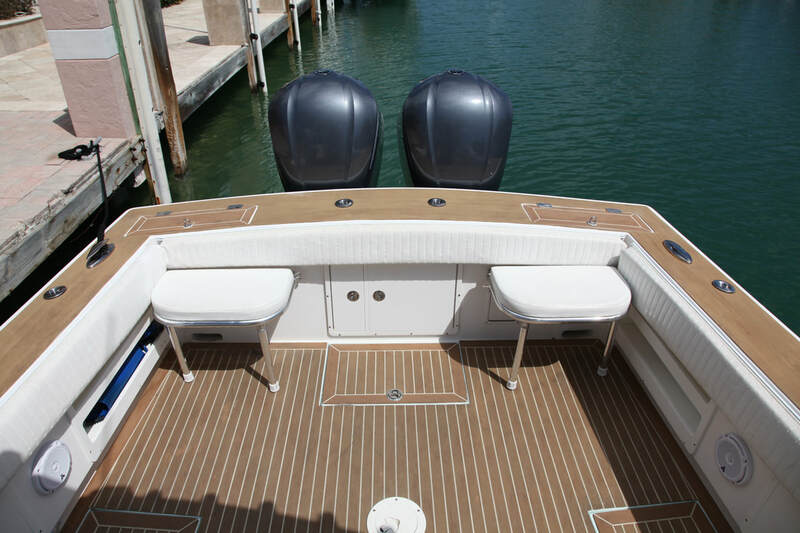 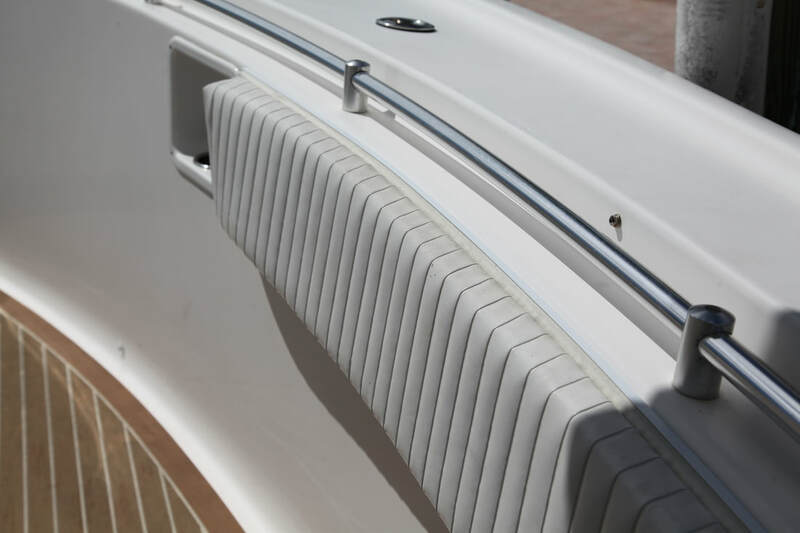 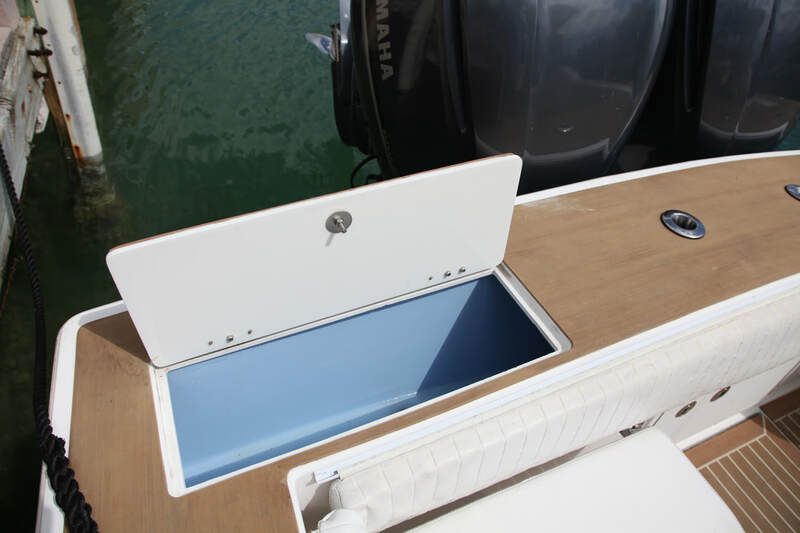 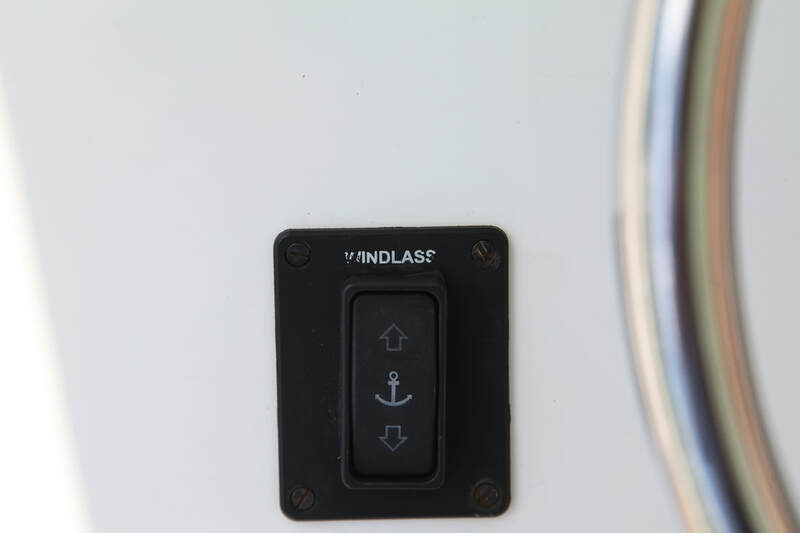 This 36' Center Console provides a great ride and handling characteristics of a larger vessel. 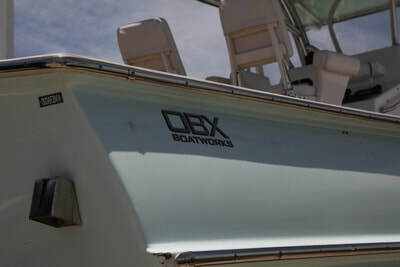 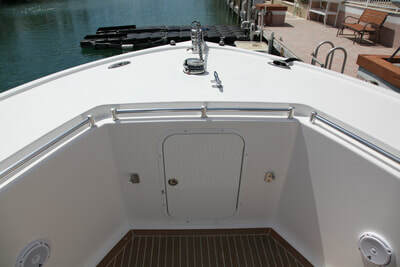 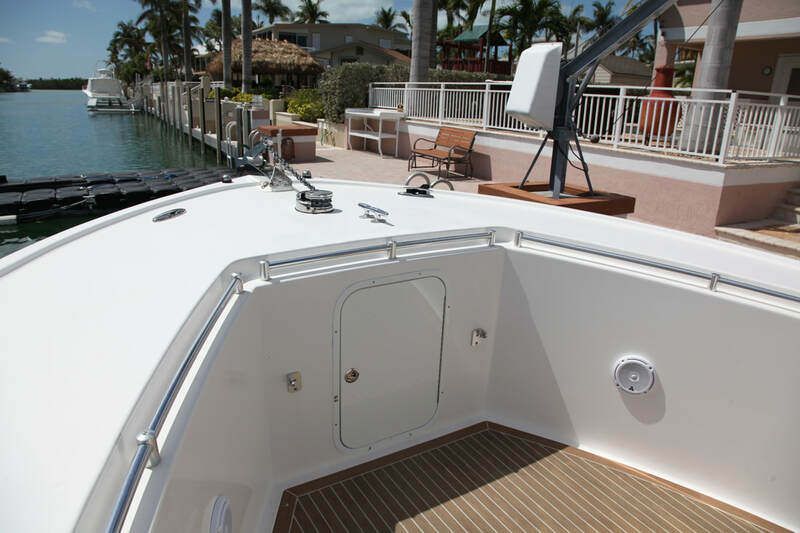 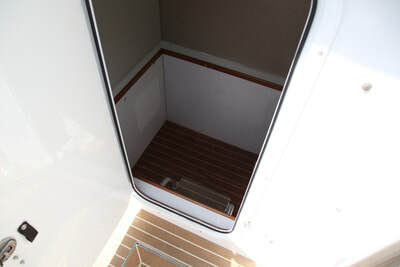 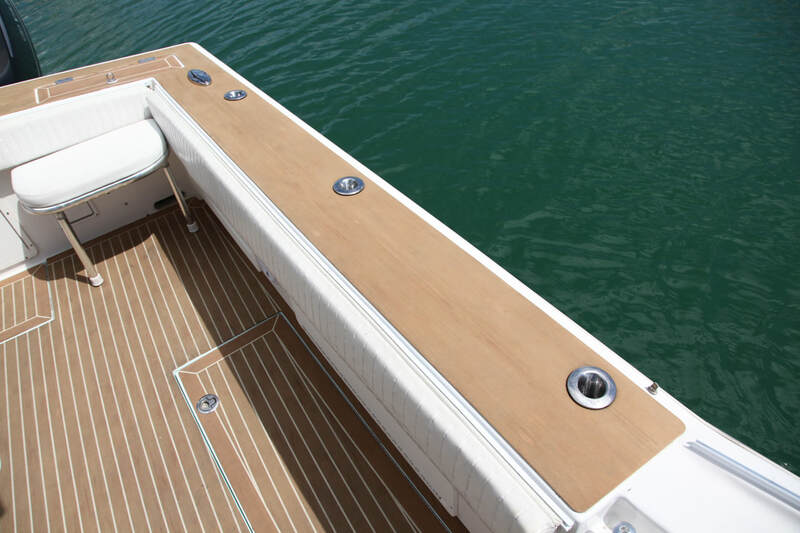 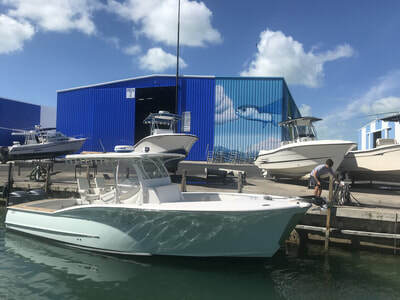 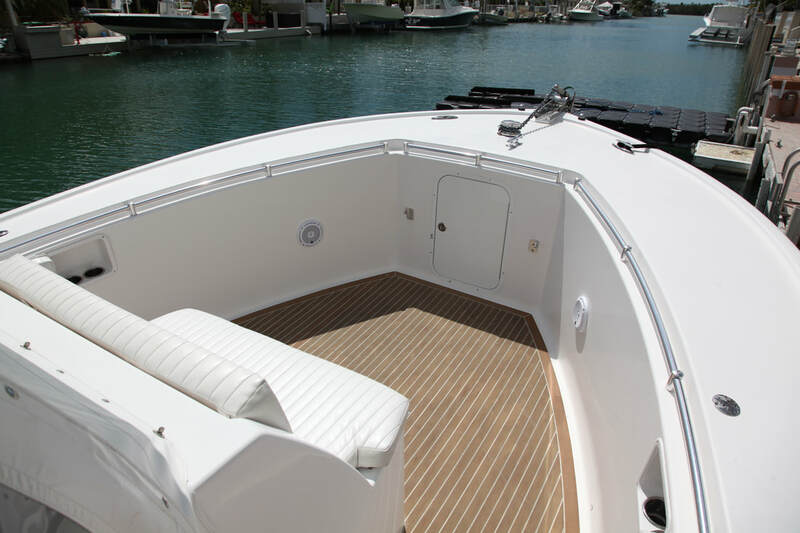 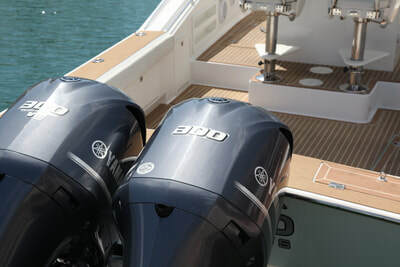 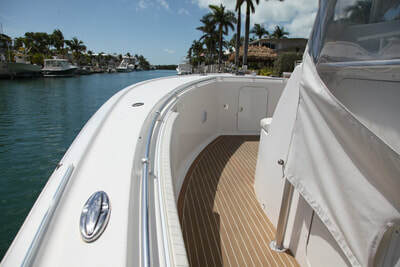 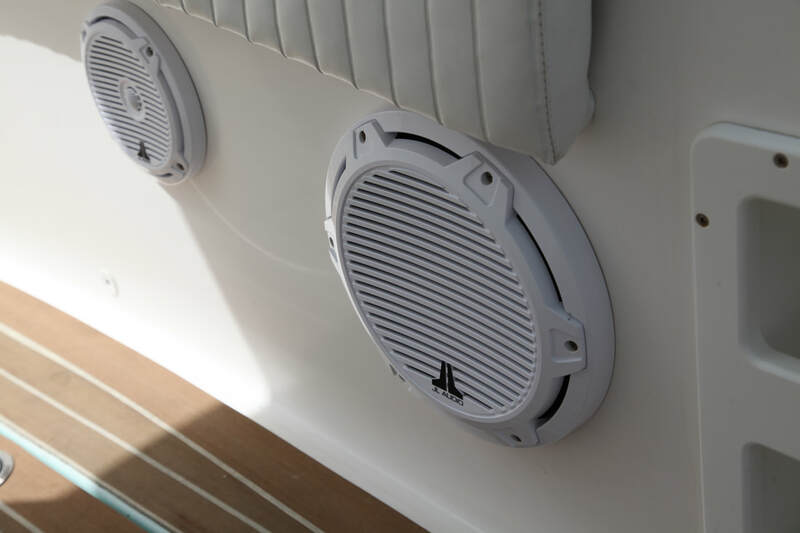 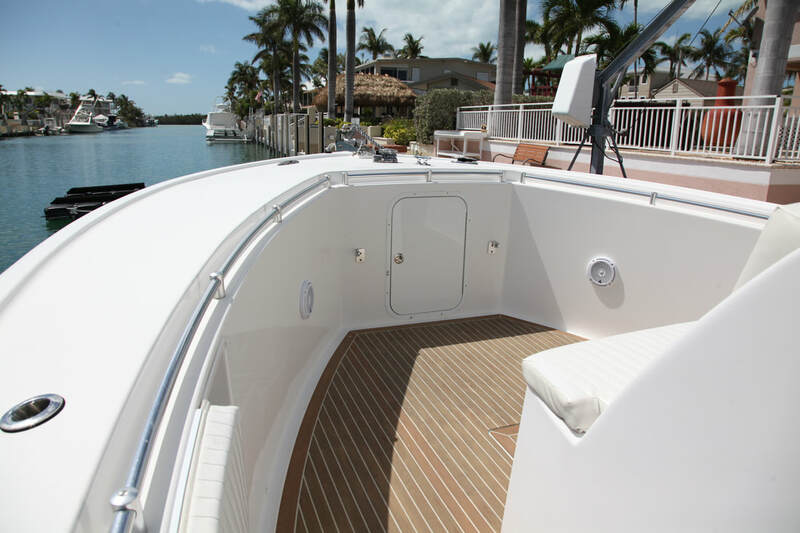 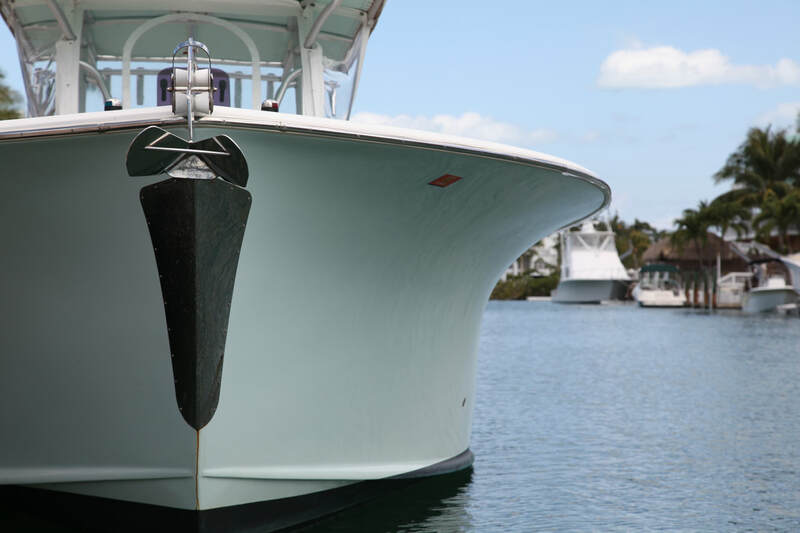 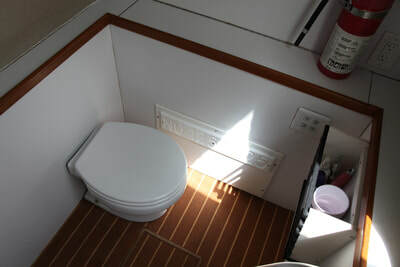 This OBX offers the semi-custom quality that sets the appearance of a fully custom all around vessel.